This is one awesome chicken madras! 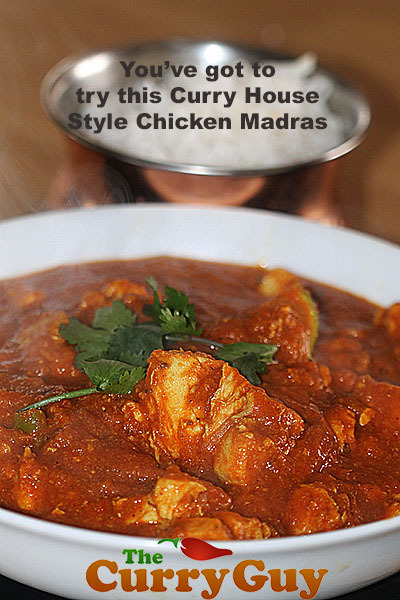 My Latest and Favourite Chicken Madras Recipe is in my New Hardbound Cookbook! When I first started writing my blog, the focus was on authentic Indian food. I wanted to perfect my Indian cooking skills and really know my stuff. 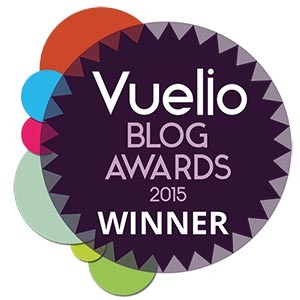 After about six months, however, people started commenting on my blog asking why their curries never tasted like they did at their favourite Indian restaurants. Curry house recipes were what they loved. 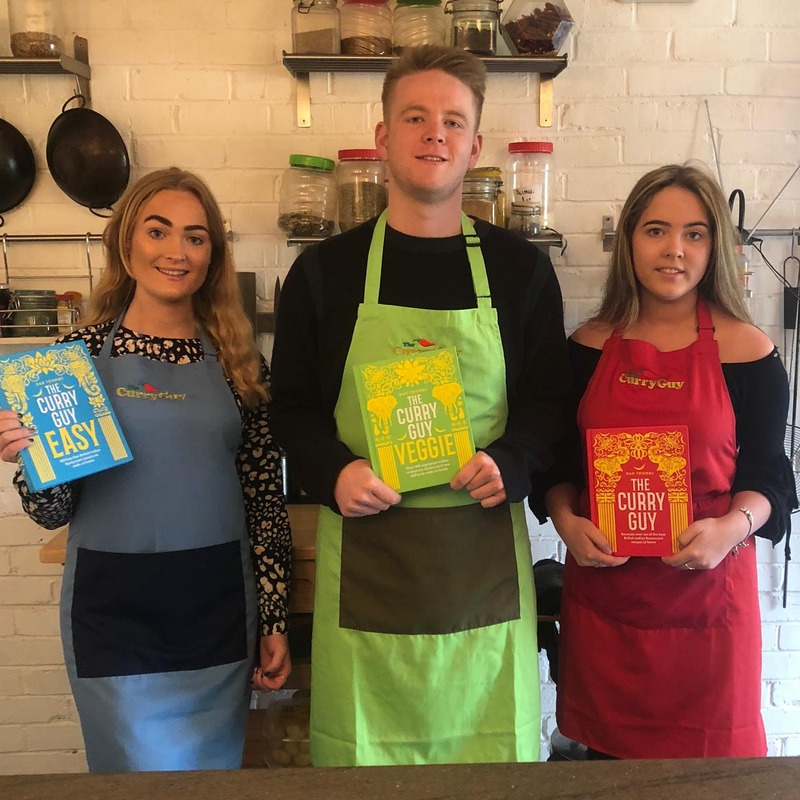 They wanted to know how to cook takeaway food at home. I had already learned a few recipes at the time from a good friend who worked in my local curry restaurant. I knew I needed to delve into this area of cooking a little deeper. This chicken madras recipe came through visiting many Indian restaurant kitchens, taste tests and experimentation! In my opinion it’s the best chicken madras out there. Judging from the popularity of this recipe on my blog, I think you just might agree. If you are not sure about the hot spices, simply reduce the amount you put in. It’s a lot easier to add spices at the end than it is to reduce the heat level once the spices have been added. All of the authentic British Indian restaurant (BIR) recipes on my blog call for a base curry sauce. There is a link to the recipe below in the recipe. Once this is made, you will be able to make all of your favourite curry house style curries in about ten minutes. I pre-cook chicken in two ways. 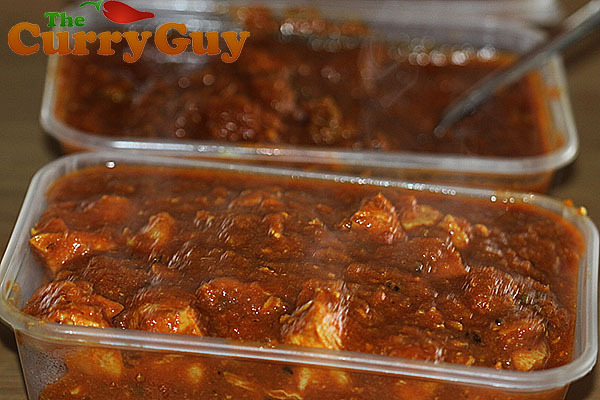 Most restaurants use this method to prepare their chicken for this curry. It’s slowly stewed in a spiced broth. 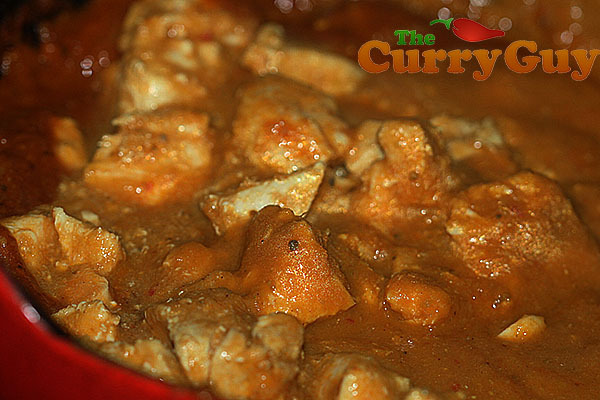 The liquid from the resulting stock can be added to your chicken madras for extra flavour. You could also add tandoori style chicken tikka to this recipe if you’d like to create tandoori Chicken Madras. For this recipe I used the slowly stewed version. Start by melting your ghee over medium high heat. Add the whole spices and let them sizzle for about 40 seconds. Now add the ground spices and the tomato paste and stir it all up to combine. Add the cooked chicken and a little of the cooking juices. To finish, Just add a squeeze of lime, the mango chutney and season with salt and pepper. You can make this a day ahead. If fact it gets better. I often freeze mine for a later date too. Give it a go! 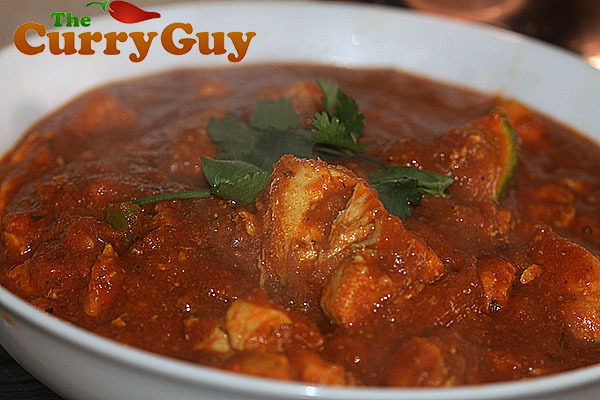 If you like chicken madras, this is a good one! For best results, always warm your curry sauce before adding it to the curry. 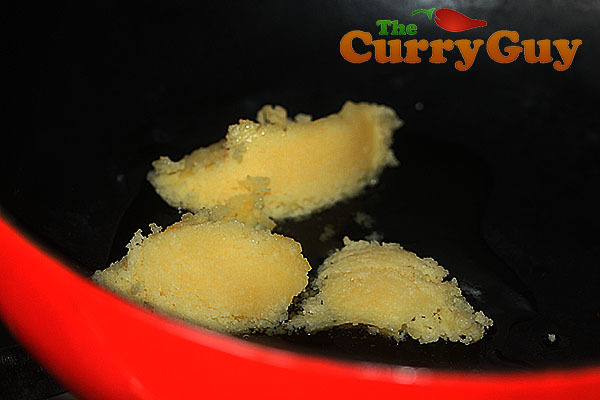 Heat the ghee/oil over medium heat in a large pan or wok. 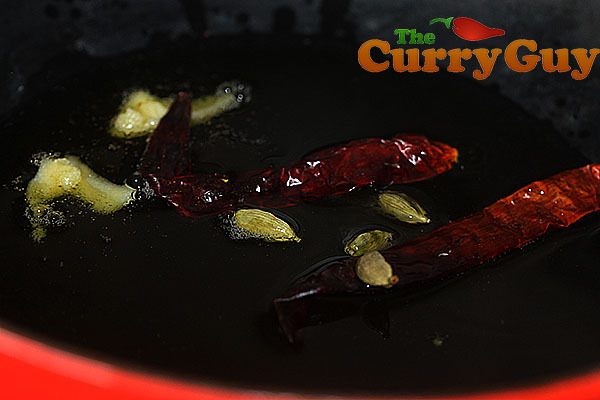 Add the dried chillies and cardamoms and allow to sizzle for about 30 seconds. Scoop in the garlic and ginger pastes, the tomato paste and the chopped chilli peppers. Allow them to sizzle for about 15 seconds and then add the cumin, coriander powder, chilli powder, curry powder and turmeric. Now pour in the heated curry sauce and mango chutney. The ingredients should spit their approval in the hot pan. Add the chicken pieces and allow to simmer for about three minutes. If you slow cooked your chicken, you could add a tablespoon or two of the broth for extra flavour. Test for seasoning and add a little salt and pepper. Sprinkle with the fresh coriander and serve. A teaspoon of garam masala sprinkled over the top at the end of cooking is a nice touch! Im looking forward to giving this a go. Two questions; what sort of chillies do you use. Makes a big difference. Also, 2 tableSpoons of chilli powder?? The stuff I have would make this hotter than a phall! Cheers and thanks for the recipies. Thank you very much Robert! Really glad you are are enjoying the recipes and hope you love the cookbook. Cooked this dish today…OUT OF THIS WORLD! Another feather in your cap Dan. I’m really happy that you tried it and also liked it. Do you have a recipe for sri lanca curry? 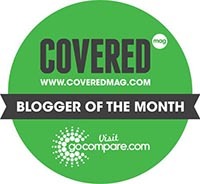 Hi love ur site and thanks for sharing, immensely grateful, can I just ask do u use level tablespoons? Heaped? In-between? 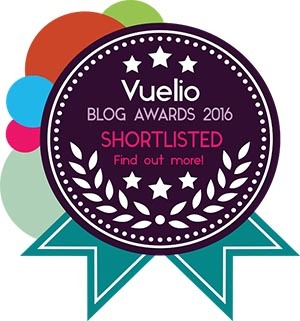 Best of luck on ur ebook! My measures are usually rounded. That’s just because I am a sloppy cook. It really won’t make a big difference though. Try adding level measures if you like and then adding more if you want it. I had one complaint on my site recently because I wrote in one of my recipes to add three tablespoons of red chilli. He did even though he hates spice food. He hated it the resulting curry too. Curries can be a lot of fun to cook. Over time you’ll learn which spices you like and which you don’t. You can then change my recipes and make them your own. Dan will most cheap coffee grinders also handle spices? Aldi here have a good one on special this week. I feel that using preground spices I’m just not getting the right flavour hit, and going to stock up on all the whole spices today at the big Indian grocer in Brisbane, but don’t have a grinder yet. Without singing it I can’t say for sure but my spice grinder is actually a coffee grinder. It was also quite cheap and has served me well for years. Most spices aren’t as hard as coffee beans so I think you should take a chance and purchase it. Good luck. Dan. I’ve been making may own Indian food for over 6 months now with some success; learning all the time. But after discovering your website yesterday, last night I made my best curry ever (chicken madras). Followed the recipe here closely, with just a couple of alterations based on what I had in the kitchen. Managed to get some fresh curry leaves, so a few of these went in at the start. I also used a Katki type mango chutney (described as cubes of mango drenched in sun-melted sugar). Served with yogurt mint sauce and wholemeal chapatti. Spectacular! Keep up the good work Dan, you are truly an inspiration. Rob. Dan, made chicken madras using your recipe. The result was a fantastic curry identical to one you would buy in an Indian restaurant. I did chicken out though and only used one spoonful of chilli powder instead of the 2 recommended. Looking forward to cooking (and eating) some of your other recipes. You are definitely The Curry Man. Great curry yet again Dan ! I came across your very interesting site yesterday and have just made your curry gravy ready for the Chicken Madras curry. Can you tell me is there any need to pre-cook the chicken, can’t I just fry it in the ghee at the start of this recipe? Sorry for my late reply to your question Priscilla. It sounds like you liked the recipe though. 🙂 It is not important to pre-cook the chicken. It is just a time saving method of cooking that restaurants use so that they can get food to the table faster. Well I decided it best to pre-cook the chicken, yum, yum, yum….. what a beautiful curry – thank you Dan. My other half said it was the best I had ever made and I had to agree! I just made your curry gravy and although mine didn’t look quite as dark as yours its ideal for making curries so thank you very much for the recipe.If fact i made some pilau rice and tried it with some dried chillies. Brilliant. Thank you once again. Thanks for trying the recipe. Really glad you like it. I as you prefer my curries a little more spicy than some so i added some chillies to the gravy.But as you know this is so veratile that you can add your own taste to it. Hi again Dan,In my town there is an exellent Indian curry house and they serve Akbari cuisine it is exellent.Do you know what region of asia it is from? Made this tonight, have been trying for years to replicate my local Indian restaurants madras and this was spot on. Outrageously good! Immediate download of the book required. Thank you very much Steven. I’t really glad you liked my recipe! Thanks for downloading my book too. Be sure to let me know if you have any requests. Sorry about that Clair. I’ll have a look. You just need enough water to cover the fried vegetables. Good luck and I hope you like the recipe. Hi made this tonight very good loved it. Love you recipes. It’s funny how how people can criticize if they new what they were doing they wouldn’t be on here love thanks. Thank you for purchasing my ebook. I have quite a few recipes for madras curries. Some have tomato while others don’t. There is of course a little tomato in the base sauce. By all means add more. I often do. Especially when I find really nice fresh tomatoes at my local farm shop! When you say “red chilli powder”, is that the equivalent of cayenne pepper in the US? Cayenne is super spicy and not really a particular flavor, but we also have “chili powder” which is a blend of spices used to, well, make chili (beef and beans and such). I’m never sure when I read foreign recipes, so thought I would ask. Hi Kym – Cayenne will be perfect. Be careful though if you aren’t a real spice fan. I use a lot in most of my recipes. If in doubt, sprinkle in a little at a time. It’s easy to add more but difficult to cool the dish down once added. Hi Dan, Made this today with turkey breast (from the meat pack I won :)) It’s in the slow cooker and tastes and smells amazing. Got a feeling I’ll have to stir some yogurt into my portion #bithot!! One question though..you say on the recipe here to use 750ml of the curry sauce but the recipe for the sauce doesn’t say how much it makes. I poured the curry sauce in and added a little more water as it was going to cook in the slow cooker. I think you’ll be okay. I’ve never cooked in a slow cooker. In a pan you really only need 750ml. I don’t think your version will taste much like the CURRY HOUSE but it should still be nice. Be sure to add more spices if necessary. Good luck. Second time I have made this for a family gathering and it tastes even better this time. Not a scrap left. Love it, great recipe and easy to follow. I have a batch of the curry sauce in my freezer too for another day. Made this curry last night. My friend and I really love to order a madras from the takeaway when we get together. Thought I’d give this a whirl instead last night. Wow! It was AMAZING. I’ve never cooked a curry from scratch before but I’m sure as hell going to be making lots from now on. Thank you – great recipe. Great to hear Rachel. Really glad you liked the recipe. Quick question regarding ginger and garlic pastes Dan..
Whats your thoughts on the ready made pastes in large jars you find in the Asian grocer stores?? The reason i ask is because i cant seem to get my pastes as smooth as the ones in the jars,, they`re kind of grainy no matter how much oil or water i use in the processor.. Wonderful recipe! Tastes great, made a couple of times and everytime it tastes awesome! Thanks Rick. Really glad you liked it. Hi, found myself in a similar situation… I have been making curries that are very tasty but not the same as our beloved restaurant style. So, I gave this madras a go at the weekend. I added slightly too much carrot to the base sauce, which made it very sweet, and a bit like carrot soup. That’s a trivial issue… the overall dish was excellent, and just what I was looking for. The pre-cooking method for the chicken and the spice mixes for the madras were both spot on. Loved it. I will definitely be using your recipe for a large batch base sauce and filling my freezer full of it for quick midweek curries. 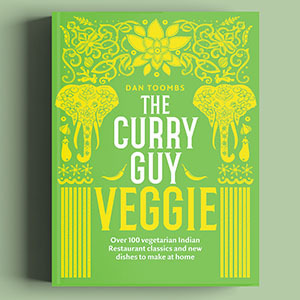 Keep up the good work Dan – your website has changed my view on home cooking curries. Thank you Alex. Really glad you liked the recipe. What can i say Dan…..your garlic chilli chicken is a fav with all our friends..even cooked at a camp out last week!!!! Made the chicken madras, it was to die for. Thank you so much. Thank you very much Deborah. Really glad you liked the recipe. Hello. Idon’t have a kindle I do have an (iPad) but want to buy your book. I LOVE your recipes. Thank you. My copies of my ebooks are all on my ipad. You just need to download the free Kindle app for Ipad. It works really well. Thank you Scarlett. Please let me know if you have any recipe questions. 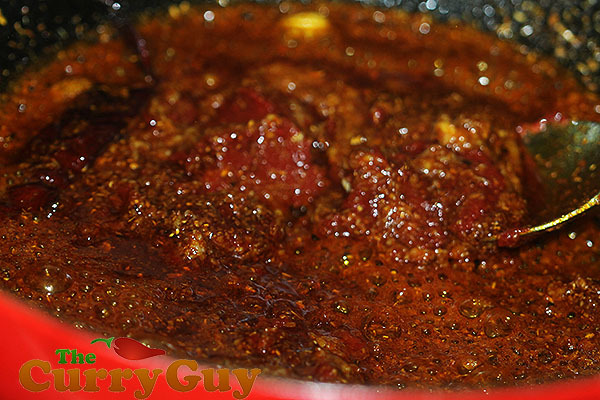 This Madras is the first curry from the base sauce batch that I made ahead of time. Delicious curry and for me I didn’t use fresh green chilli. I used 2 and a half tablespoons of nice, fresh Indian red chilli powder which was perfect for me (like a blazing fire) but for some this may be too much so just follow your taste buds when adding the chilli powder – just remember it is very easy to increase as required but you can’t undo adding too much! Personal adjustments for next time: I like this just as it is but i’ll increase the garlic a little and make sure my beer is ice cold! Catered for 40 last night and did the gravy, precooked chicken and madras sauce. Absolutely divine. Going to knock up another batch for the future just for me and download your book whilst I’m at it. Many thanks. Yummy. I think this recipe could make the cut for our next Saturday night ‘fakeaway’. Love your recipes they make my mouth water every time. Hi mine was a very dry sauce? If the sauce is too dry, try adding a little water or using more base curry sauce or even topping it with a little fragrant stock. The recipe is on my blog. Hope this helps. I will be making this tonight but I noticed in the picture, you say you added whole spices and tomato paste, but that is not written in the recipe. Should I add those? The 2nd picture say to “Add the whole spices and let them sizzle for about 40 seconds.” I cant see any whole spices in the ingredients. Nope, you weren’t missing anything. I did. Thanks for noticing. This is an updated recipe from my original and I left that step out of the instructions. 🙂 All fixed now. Im planning on making this with your large batch gravy recipe for 20 people. Might be a stupid question but can I just scale up this recipe as required. So just x5 all the ingredients? Thank you for purchasing my ebook. When I cook for a lot of people, I usually just x the ingredients like you suggest. That said, you will need to taste and adjust the ingredients to your taste. I have found that large batches can be a bit bland unless a play with them a bit. Good luck. Hope these questions haven’t been asked and I missed them as I browsed the comments. 2 things I’m unclear on. 2. There’s a mention of tomato paste in the pics but not in the ingredients or method. Is this something that I need to add? Thank you for noticing that. It’s all fixed now. I’m including this recipe in an upcoming ebook so it’s great to find these things while they’re just on the site. Much appreciated. Hi, amazing recipes, been playing around with madras and korma dishes for a whil but none with these results. Just a quick one. I do like my madras blood red in color and (I think at least), its due to tomato sauce, which I love, wanted to ask you how to get that, afraid I might ruin it if I just chuck 400g extra of tomato puree on on top of the heated curry base. Usually only one or two tablespoons of tomato paste is added. You could probably add more without ruining the dish but it may not taste a lot like a madras. Try adding red chilli powder or paprika. I’m not sure how spicy your like your curries so be careful if adding chilli powder. Add a little at a time until you are happy with the flavour and appearance. Hi for some reason I am finding it difficult to follow the instructions do you have to go to one bit and then to another. That is a restaurant style curry so it can be quite difficult at first. In order to make curries like they do in the restaurants, you first need to make the base curry stock and then the pre-cooked meat. 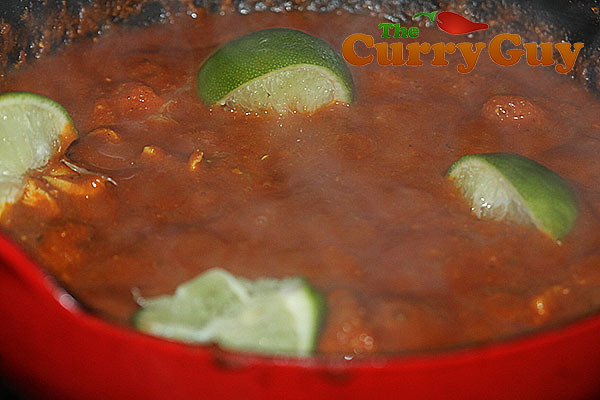 After you’ve done the forward preparations, you can make many different restaurant style curries in about ten minutes. Good luck. Thanks I mastered it my husband loves it I make big batches and freeze it.???? Hi Dan Are your recipies based on Bangladeshi restaurant curries as I tend to like theirs better? Mainly Bangladeshi. I have a few Pakistani and Indian restaurant curries in there but have learned the most from Bangladeshi chefs. I have just made this dish and the entire family have given it a 10/10 . I had a Saturday job in a Indian takeaway when I was in my teens (many years ago) and remember watching the chefs use the gravy and adding spices etc to make the curries ordered. As we are a curry loving family I shall now be getting your book and trying out many more of your recipes . hi Dan loving the way u present curries here, but i have a slight problem as curry tastes good but a little powdery. i presume im not cooking out the powder ingredients enough? Try adding the spices first with the oil. A slightly longer cooking time should also fix the problem. Another reason why your curries may be coming out powdery is if your spice blends aren’t blended enough. Not sure about that one. Good luck. Hi , firstly , what a great site ! It’s now my bible lol . I tried my first Madras over the weekend , I didn’t make the base but had a thick chicken & veg soup flavoured with Chinese spices in stock ( had been stick blended ) I slowly stewed the chicken , pre cooked as your recipe , then followed the madras recipe by the book ! It was outstanding ! Not far off the restaurants i visit , but not quiet , ( prob because the base wasn’t correct ) . Was sceptical about the mango chutney but totally get that now as it’s the slight sweetness I’m used to but could never put my finger on it . When I do the proper base at the weekend i know it will only get better . Cheers . Please do. I look forward to hearing how the next batch goes. I am struggling to find dried kashmiri chillis what could I use instead I do have whole long dried chillis. I am going to attempt to make this next week am looking forward to it. Any chillies you like and can easily get will work. After years of trying to cook half decent Indian food like my favourite take away, I come across this website ! Sorry for the late reply. Thank you very much. I’m really glad the recipe worked for you. 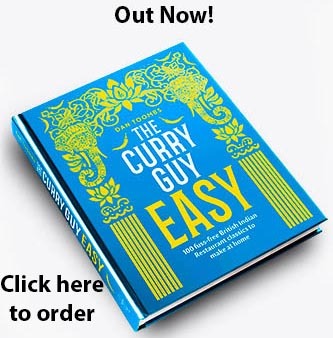 To get everything spot on – you have to make all the mistakes FIRST – and learn from them ..
We are MASSIVE curry fans & my husband uses your recipes & hints non-stop. 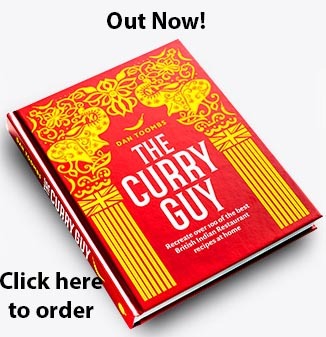 I was wondering if your Curry Book is available in print as we prefer to use books as opposed to computer screens?! Thanks for all your time & help!! Really glad you and your husband like my recipes. Thanks for asking. I’m currently writing a cookbook of British Indian restaurant style recipes which will be published by Quadrille Publishing in May 2017. 🙂 It will be available at all major retailers and online. I’ve just made this, I used your small batch gravy recipe but did it in the pressure cooker so only took 20mins, then followed the recipe for this but rather than using precooked chicken I used on the bone thighs and wacked it all back in the pressure cooker for 18 minutes. What came out was excellent, much better than I’d normally get in a local curry house! That’s great news! Thanks. I’m really glad you liked it. I’ve been experimenting with my pressure cooker and it sure does make things a lot faster! I made this madras over the weekend and it knocked my socks off! Will definitely be making again, but I might ease up on the spices next time. Absolutely delicious and my wife enjoyed it too. Great to hear Neil. Thank you. Can you refreeze the sauce after making a curry , I have lots left over ! You sure can. It freezes well for about three months. Oh my heavens. This was outstanding. Thank you. Thank you very much Del. I hope you love the book and recipes! Hi is there a substitute for Madras powder? My store doesn’t have it and I do not own spice grinder or mortar pestle. Any good quality curry powder will do the job. I’m Vegetarian and always have Veggie Madras, any differences to the Chicken Madras (in respect of the sauce I mean). Do I need to add/change anything to make up for having no Chicken to flavour the dish? That sauce can be used for any meat or vegetables. If making it veggie style, I often add a little spice stock or the cooking stock from pre-cooked potatoes. Both recipes are in my book and on the website. Thanks for the recipes. I’ve tried several of them and have been happy with the results. My husband and I like that your recipes don’t use ready to use spice mix and paste. The Indian curry recipes are some ways different to Indonesian’s, where I come from. Looking forward to trying more of your recipes. Made your Chicken Madras yesterday for a group of 14 hungry friends. They all loved it and said it was the best curry they’d had, as good as any takeaway they’d tried. Thanks for sharing your recipes and I’ve now asked for your book for Christmas! Sorry for the late reply. I’m playing catch up today. 🙂 I’m really happy you and your friends enjoyed the recipe. Hope you enjoy my book. Thanks for the recipe. Cracking curry, can I just check do you discard the cardamom pods? I’ve never used whole spices before and guess there to flavour not eat. In India, they serve the cardamom pods and also other whole spices in the curry. I usually do because I don’t mind having whole spices in my food. Most people prefer to remove them however. Just count them in and count them back out again. Having been taught to cook by an Indian over 30 years ago, the contrast between “homestyle” and BIR curries is often quite glaring. Madras is sort of in the middle. I did this recipe last night but made a few changes before serving. Try the following additions and see a difference: Fry a whole star anise in the oil before step 1. At the end add a good tablespoon each of Worcester sauce, lemon juice, brown sugar. I serve the mango with the finished dish. Although I didn’t add to this recipe, I love to add a tbsp. of dried methi leaves after gravy. The result is that little something that a decent Indian restaurant offers up. Thanks for the tips Phil. I’ll give that a go next time. Very pleased to get the book and I am looking forward to trying some of these recipes. However, I was disappointed that the Chicken Madras recipe isn’t in the red book . That’s the one I was particularly interested in, and it says above that it’s in there. G’day Dan et al, made the Chicken Madras using all the ingredients EXCEPT, in the absence of Madras powder, I used a famous brand of Madras paste. The whole thing although edible tasted more like a shop bought balti., and fell short of the comments above. In your experience, would my use of this madras paste be the overall culprit in ruining my 1st attempt ? kindest regards and best wisehes. That will be it! Pastes that are purchased are no where near as good as freshly roasted and ground spice blends. 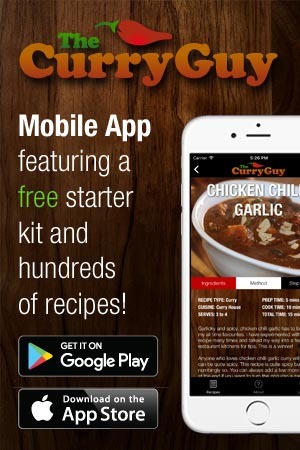 I have a curry powder recipe on this site which will work. 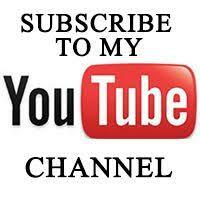 Hi I am very excited to get started and have watched the video on how to make the base sauce. I want to make two different vegetable curries. What would you add and which vegetables would be your preference for a vegetable madras please? also how can i vary this to make two different style vege options? sorry to be demanding ! If it sounds good, add it! Any veggies will do. You could also change the sauce slightly by adding chopped spinach or methi to one of the curries. In my cookbooks, I offer veggie kofta recipes which are also delicious served in the curry.